Blue & aqua strips divided by silver ribbons with elegant embroidery on the Atara. Gives an impressive and elegant look. 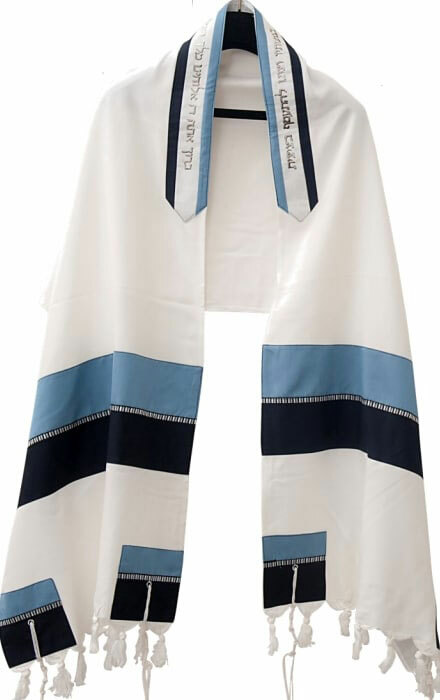 High quality Viscose or Wool tallit that lays lightly and softly on your shoulders. Price reflects this Tallit in Viscose fabric. Also available in 100% wool or silk. Select from the item options. You will have the option to personalize this item after you add it to the cart.